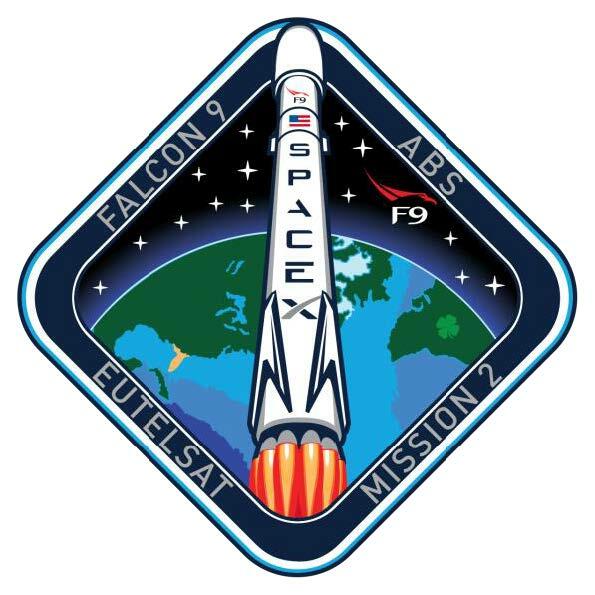 The 70-meter tall Falcon 9 with a pair of commercial communications satellites hidden under its fairing lifted off from Florida’s Space Coast at 14:29 UTC on Wednesday, attaining a south-easterly trajectory to take the standard route to Geostationary Transfer Orbit. The first stage finished the propulsive ascent phase a little over two and a half minutes after liftoff, sending the second stage on its way to achieve the primary goal of the mission – lifting Eutelsat 117 West B and ABS 2A into orbit. 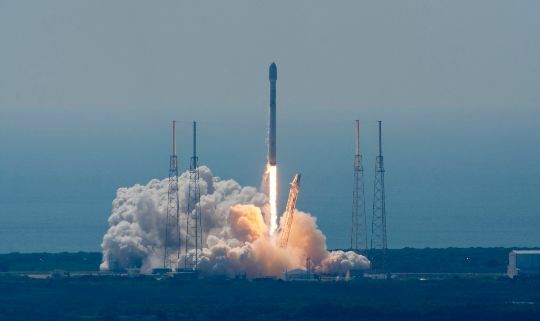 The two Boeing-built satellites had a smooth ride and were released into their highly elliptical transfer orbits, peaking 62,500 Kilometers in altitude – marking the successful conclusion of the primary mission which is what SpaceX is paid for by its customers. The secondary objective of Wednesday’s flight – landing the first stage of the rocket on the ‘Of Course I Still Love You’ Drone Ship – was seemingly going well when the first stage swung around and fired three of its engines to slow down before re-entering the atmosphere. Making it through another challenging high-speed re-entry, the first stage remained intact and geared up for its landing maneuver, 680 Kilometers from the launch site with touchdown expected eight and a half minutes after lifting off. Three of the booster’s engines re-lit to rapidly slow the vehicle down before shutting down the outer engines and descend under the power of the center engine alone. 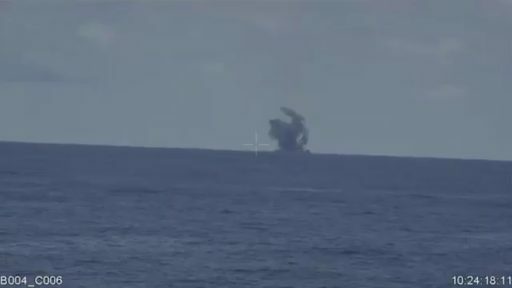 Choppy live video from the Drone Ship showed Falcon 9 standing upright on the ship’s steel deck, but surrounded in a blaze of fire which did not bode well for the outcome of the landing. As for the reason for the unsuccessful landing attempt, Musk first noted a possible thrust shortfall on one of the three landing engines, but later identified Liquid Oxygen depletion just above the deck as the root cause – highlighting the tight propellant margins that exist for Drone Ship landings after GTO-delivery missions. 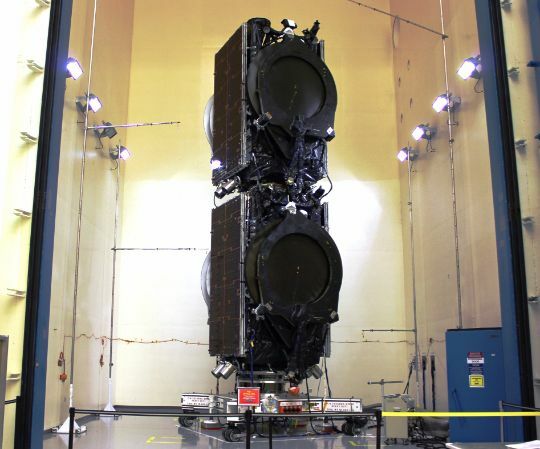 The successful landing on the JCSat-14 mission earlier this year had only three seconds of fuel left when making its successful landing and the Thaicom 8 mission was cutting it similarly close, achieving an intact landing at a high velocity approaching the rocket’s design limits. 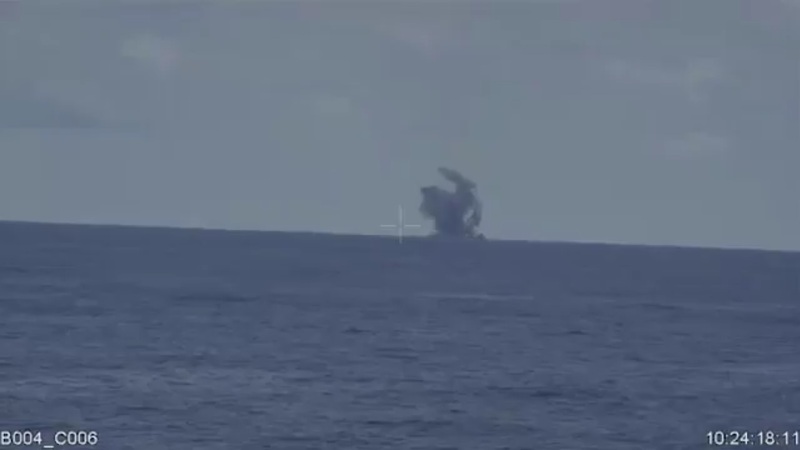 The video posted by SpaceX seemed to tell more on what went wrong during Wednesday’s landing maneuver. 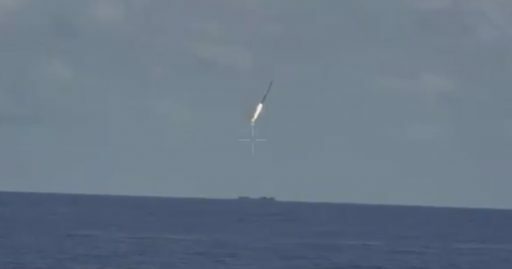 The booster is shown coming in at a significant tilt angle with three of its engines firing, transitioning to vertical descent at the moment the two outer engines were shut down. Descending vertically, Falcon 9 came to a hover a few meters above the deck which of course should never happen as F9 typically aims for a hoverslam landing, reducing its velocity to a minimum when reaching the deck of the ship – not a few meters above. The video shows the stage in a constant-velocity descent but shutting down its engine while still in the air due to propellant running out – possibly as the result of the longer final descent. The stage then dropped onto the deck and indeed stood upright for just a period of seconds before slowly toppling over and hitting the deck. The video cuts out before the booster met its end. 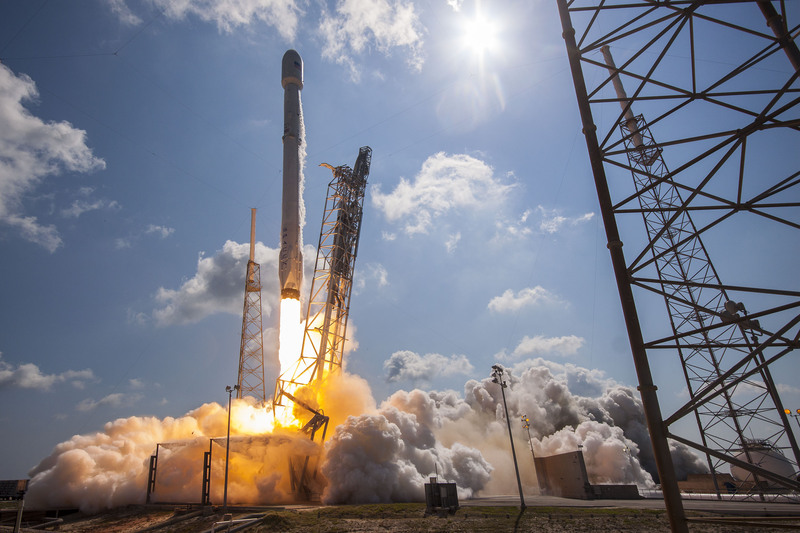 Whether SpaceX was experimenting with reducing the landing speed after the harder landing on the Thaicom 8 mission and miscalculated the fuel availability or whether the booster encountered a problem with its engines or positioning to create the lengthy descent is for SpaceX to determine. 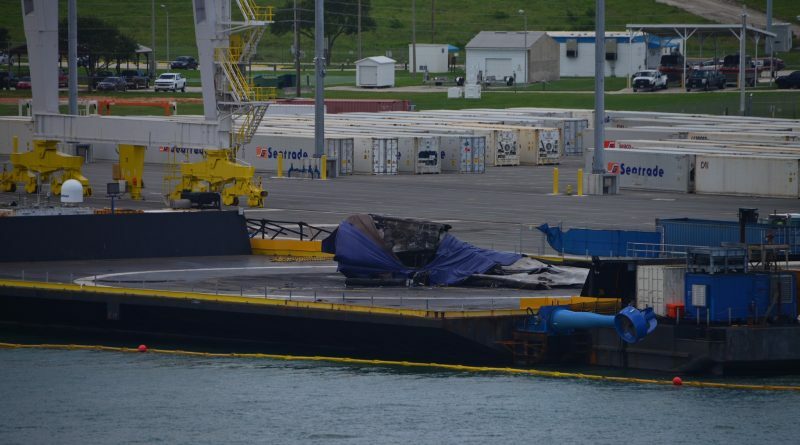 The Autonomous Spaceport Drone Ship returned to Port Canaveral Saturday night with Falcon 9’s remains sitting atop the deck, partially covered by a tarp. The largest piece sitting on deck is the charred engine section with the Octaweb structure, accompanied by some flattened tank and hull structure and possibly some of the landing legs. The recovered hardware may tell some of the story of what happened during the final seconds of flight, but the most valuable clues will be found in telemetry data already under scrutiny by SpaceX to learn lessons to be implemented in future landings with tight propellant margins. Musk declared 2016 “The Year of Experimentation,” expecting around 30% of experimental landing attempts to fail as SpaceX continues to refine the landing sequence and the various systems on the first stage to be able to make landings more routine and pave the way for cost-effective reuse of first stages. 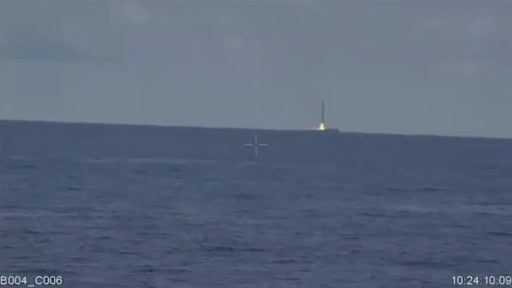 With four cores already recovered, SpaceX is in the progress of setting up for the first re-flight of a first stage on a commercial mission. 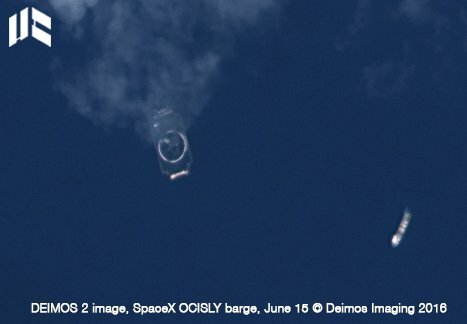 The two recovered GTO boosters (JCSat-14, Thaicom 8) will likely not see flight again and come to use in delta-qualification testing through static fires and component testing to uncover hardware that needs reinforcement to allow re-use of a booster coming back from a challenging re-entry. 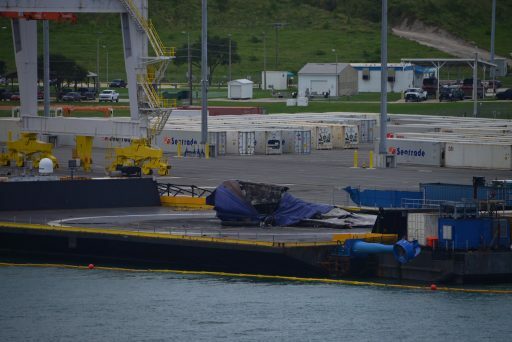 The Orbcomm G2 and SpX-8 boosters landed in December and April after Low Earth Orbit missions are both in a condition to be re-flown, though the first returned stage will go on display at SpaceX’s headquarters. After the SpX-8 mission, Musk said this booster would become the first to take flight again after going through ground testing. Musk recently Tweeted that re-flight of the stage could occur in the September / October time frame after the timeline was shifted to the right from an initial June target for the flight. No customer for that mission has been announced yet.